When dogs stop eating dog owners can be faced with what looks like an insurmountable problem. However, there is a simple solution, and not only will we teach you how to get your dog eating dog food again, but he will be healthier than ever before! We talk about some of the reasons why this might happen to you, as well as give you some great tips and advice on how to get your dog to eat dog food again. Dogs who stop eating their food usually do it for a good reason. They have either developed some bad eating habits, are being fed low-quality food, or have a health condition. Dogs who develop certain health conditions might start refusing to eat. There are a number of health-related reasons a dog might go off his food. Anything from a virus, inflammation, digestive health issues, and pain, to more serious problems like systemic infections, liver and kidney failure, and cancer, can cause appetite loss. Just like with us, dogs can lose their appetite when they are feeling sick. If this starts to happen you should take him to a vet to get checked out. You can usually rule out health issues if your dog actually wants to eat human food, but ignores his own dog food. This is the most common cause of a dog not wanting to eat dog food. Feeding your dog with food scraps from the table is always a bad idea. Even if you’re giving him meat, vegetables, or other healthy treats, this may cause him to stop eating his own food. In order to get more interesting meals may ignore the food that you prepare for him if he believes that he will get you to treat him with food from your table. If you’re feeding your dog commercial dog food that is unhealthy and doesn’t have the required nutrients he may start refusing to eat it. It is the same as when we eat too much sugar or drink too much alcohol. Our bodies start to tell us that we are not getting enough nutritious food. Think about switching to a better dog food brand. They might be more expensive, but you will save money in the long run by avoiding medical expenses. For more on the problems with commercial dog food brands and to find out which ones are the best, see our article on Dog Food Secrets. A healthy balanced diet is something every human and animal needs in order to avoid health problems. Both people and dogs have a recommended daily intake of protein, carbs, and fat. Having a variety of healthy foods from different food groups will ensure your dog enjoys his food and stays healthy. Mixing it up with different types of meat to get protein and plenty of healthy fruits and vegetables for nutrients and fibers will do wonders for your pup’s appetite. Finding the right food for your dog is the first step towards getting your dog to eat again. You will immediately notice how he doesn’t refuse his food anymore. After a short period of time, you will also notice that he looks healthier and acts happier than ever before. Provided your dog does not have a specific health condition that is causing a loss of appetite, here are a few things you can try to get your dog eating a healthy diet. First of all, you should either make your own dog food using ingredients that aren’t toxic for dogs or start buying from brands that make healthy, organic meals, without any preservatives. Dog food should be tasty and nutritious. If that is the case your dog won’t refuse eating it unless he has health problems. Blue Wilderness High Protein Grain-Free Adult Dry Dog Food is a perfect example of great store-bought dog food. It features real meat as the first ingredient and has been enhanced with vitamins and minerals. A huge bonus is being able to decide on different varieties of meat, with salmon, duck, or chicken to choose from. It is grain-free and features a high amount of protein. The special ingredient is Blue’s Life Source Bits, which is a unique formula made by professional veterinarians and expert animal nutritionists. It contains only the best anti-oxidants, vitamins, and natural supplements, without any nasty artificial flavors or preservatives. Another important step is to put a stop to giving your dog food scraps from the table. If you do not do this yourself you will need to keep a close eye on the family at meal times. Someone else could be slipping food to your dog under the table. Often the culprits here are kids trying to get rid of food from their plate. Make sure the entire family is on board with this one. If you have a backyard where your dog spends a lot of time, make sure friendly neighbors don’t throw him any treats. They may do it with good intentions but it encourages bad eating habits in your pup. If you notice this happening just have a quick word with them about your dog’s diet. 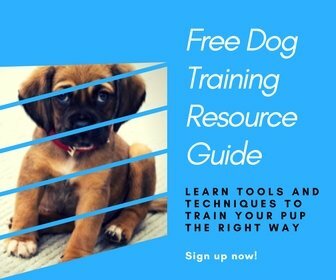 Don’t worry about your dog getting too hungry or feel too bad as you implement these techniques. When your pup actually becomes hungry he will happily return to eating his own food again. It is recommended to feed your dog only two times a day, once every 12 hours. Dogs have internal clocks and if you set a schedule he will notice it. Filling up his bowl at the exact same time every day will make him feel more obliged to eat and he will start anticipating the meal-time. Dogs who have access to a never-ending supply of food in their bowls all day can become bored and disinterested in their food. This habit will help your pup more than you think. Whether you’re using homemade dog meals or store-bought dog food you can always add some additional ingredients in order to make it more attractive to your dog. Mixing up some healthy fruits and vegetables in with the regular food is guaranteed to spark his interest. You could also add cooked, boneless meat to his meals to increase his protein intake. This has the added benefit of making the purchased food go much further as well. It’s a common issue when dogs don’t want to eat their dog food anymore. You can fix this problem easily by buying tasty and healthy dog food or making your own dog food. Avoid giving your dog table scraps and keep to a strict feeding schedule. Making sure the meals are interesting and provide a balanced, nutritional, healthy diet for your dog. For more on what to feed your pup, check out our article on Is Dog Food Bad for Dogs. Or see our article on tasty dog food for picky eaters. P.S. Help a friend learn how to get their dog to eat dog food again by pinning this!